By any chance are you going to allow integration with buddy press because the groups they have would be awesome with this forum. 🙂 also I love how buddypress is set up with permissions as well.. I am currently working on a buddypress-integration - but not for the groups-feature because Asgaros Forum has its own usergroup-functionality which is deeply-integrated into the forum-logic. This is great! I had just jumped on the forum to see if there were any integrations with BuddyPress. Yes, work on this is still going on but I have to finish the approval-functionality first which will come in version 1.13. This and other related code-changes are necessary for BuddyPress-integration and I hope that I can make it available soon - but I cant promise that it will be before Christmas. 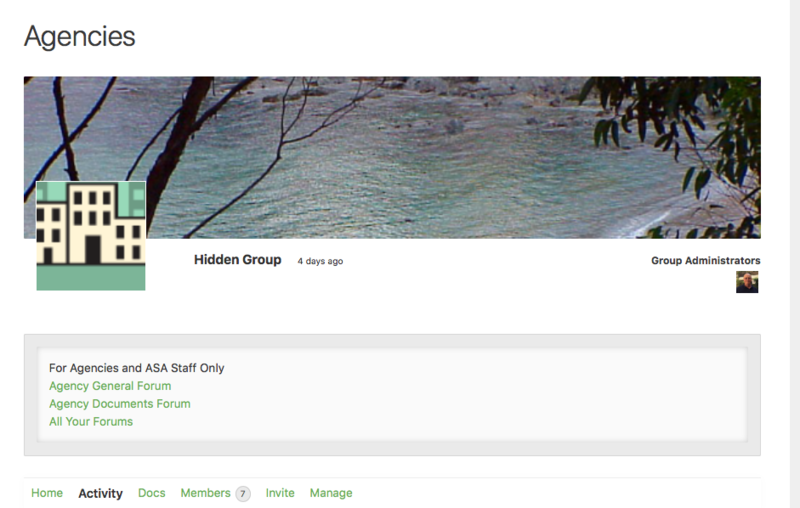 I created 5 User Groups representing my main secret groups. In Forum Structure I then created 5 Categories, one for each of the above. I set these to Logged in Users only, and selected the relevant user Group for each one. You will need to edit your users to provide access to to relevant User Groups. Any Fora you create under these Categories in Asgaros will effectively be view limited to those selected users. And anyone not in those groups will not see them on the General Forum page. "<a href="/discuss/forum/documents/">Agency Documents Forum</a>" providing a link to your specific fora. Anyone who isn't in the Asgaros group won't see it. For other groups (hidden or otherwise), you can add a link to specific (non exclusive) fora, so these will become the fora of that BuddyPress group. Those fora will still appear in the general fora page. But its pretty close. See attached file for what it looks like on the Group page. Usually users do not notice messages that are quoted. some messages can remain far behind. for example, the user sending the original message can log in after 3-5 days. In this case, the message written 3 days ago may not notice. I cant promise if I can make it work with quotes because this will require a lot of parsing - especially when there are nested and/or multiple quotes inside a post. As an alternative you can also use the mentioning functionality like in this post so the user you refer to gets a notification about your post. I am a new user of your forum plugin and just wanted to say thanks, and I too will be very happy to integrate it with buddypress. I evaluated a lot of software and found yours to be one of the best, and with all the features needed for free. so I thought quote notifications would be nice. I really appreciate you in your work. Thank you very much for preparing such a system for us.